Benedict of Nursia is honored as the patron saint of Western monasticism. His Rule has given shape to the communal life of the monasteries that bear his name, but his influence goes far beyond the Benedictine order. The rhythms of prayer and work in community are staples of monastic spirituality and Benedict’s rule is the impetus for much of that. But what wisdom does Benedict’s Rule offer to ordinary folk–people with jobs and families who do not feel called to the monastic life? Quite a bit actually. 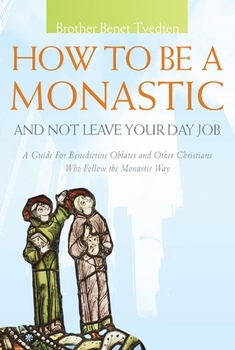 Brother Benet Tvedten has written How to Be a Monastic And Not Leave Your Day Job to help us regular people appropriate the gifts of monasticism and Benedict’s Rule. Written primarily as a guide for those wishing to become oblates, this book explores the history of Benedictine spirituality, the values it imparts for daily life and the requirements for oblates–those who wish to formalize their commitment to the Benedictine way by associating with a monastery. While those considering becoming oblates (literally, ‘offering oneself up’) will get the most out of this book, all who have come to appreciate Benedictine spirituality and wish to incorporate its insights will find food for thought here. Tvedten begins his book by giving a brief overview of Benedict and Benedictine spirituality. Benedict did not write his rule in a vacuum. He incorporated the wisdom of the monastic communities before him, even appropriating The Rule of the Master, a rule written by an anonymous Italian abbot, as the framework for the book we’ve come to know as The Rule of St. Benedict. While the former was used by Benedict, Tvedten observes a noticeable shift in tone, “The Master’s Rule is indeed harsh and burdensome. The crotchety old abbot does not have much confidence in his monks, and is constantly suspicious of them”(24). Benedict’s rule on the other hand is written for beginners (15) and so that ‘the strong and the weak may live side by side’ (26). This means that the Rule of Benedict is not simply for those who have taken heroic vows and are spiritually strong but has wisdom for those starting their spiritual quest and wishing to grow in their faith. The values of Benedictine life which are gifts to the whole church include: rhythms of prayer and work, humility, concern for peace and justice and hospitality. Tvedten explores these, offering commentary on the rule and examples from the lives of oblates he knows. His commentary on the rule emphasizes how the Benedictine way represents a whole different way of being in the world. However, he occasionally he offers an explanatory note which makes Benedict more palatable to our ears (i.e. Benedict’s prohibition on laughter is explained as a prohibition on mockery and buffoonery). His final section explores the calling of oblates, their commitment to the rule and to the values of conversion (turning from your former way) and stability (commitment to a particular monastery), guidelines for oblates and the value they bring to the wider monastic community, the church and the world. New to this edition (the book was originally published in 2006) is a new preface and afterward where Tvedten expands his reflection on the Benedictine way to include the New Monastic movement (Jonathan Wilson-Hartgrove, et al.) and other appropriations of Benedictine wisdom in our all too secular world. 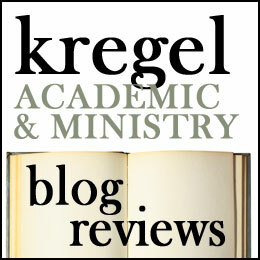 A list of recommended readings gives those interested in Benedictine Spirituality resources to go deeper into the themes which Tvedten sketches here. I am not a Benedictine Oblate but I have a deep respect for the Benedictines. My own journey with Benedictine Spirituality includes my discovery of the Christian pracitice of Hospitality (through my reading of books by Christine Pohl, Daniel Homan, OSB and others), my encounter with Benedictine spirituality (through authors like Kathleen Norris, Joan Chittister, Ester DeWaal) and several journeys I’ve taken through the Rule. I am not at the place where I would formalize my commitment to the Benedictine way, but I am grateful for the myriad of ways the Benedictines have challenged my thinking and way of being in the world. 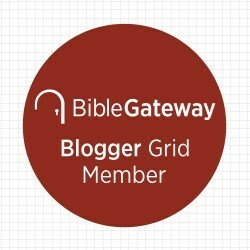 Tvedten’s book and the Rule challenge me to be more intentional about community, hospitality and prayer. These are values I hold dear and am inspired by the Benedictine Community. I give this book four stars and recommend it for anyone interested in exploring the gifts the Benedictines offer for us regular folk. Thanks for this excellent review. It sounds like a good book; one for the Christmas list I suspect. I’ve been following the progress of the new monastery in Norcia; the monks are doing a great job of building witness to the Gospel and the Rule in Benedict’s own birthplace. And they take their beer very seriously too! As they should. Gospel witness and beer are serious matters! Cheers!